Mystic was a noble and lead stallion in one of the first bands Neda DeMayo brought to Return to Freedom. 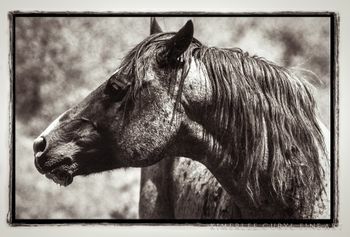 His band from the Hart Mountain in Oregon were of the last remaining horses to roam there...they no longer exsit in the wild. Mystic, along with his son Christopher Robin, a bachelor named George(RIP) Cayuse, Bandito, Chief and a few others were the first to teach me about true stallion behavior, in the natural world of course. It is safe to say they lured me in, and my life has never looked the same. Sealing a fate that stirred so deep within me since I was a little girl. I am and will forever be committed to the preservation of wildness..in its many forms..however I can. When Neda told me he had passed, my heart hurt. I came home and poured through images from the past. 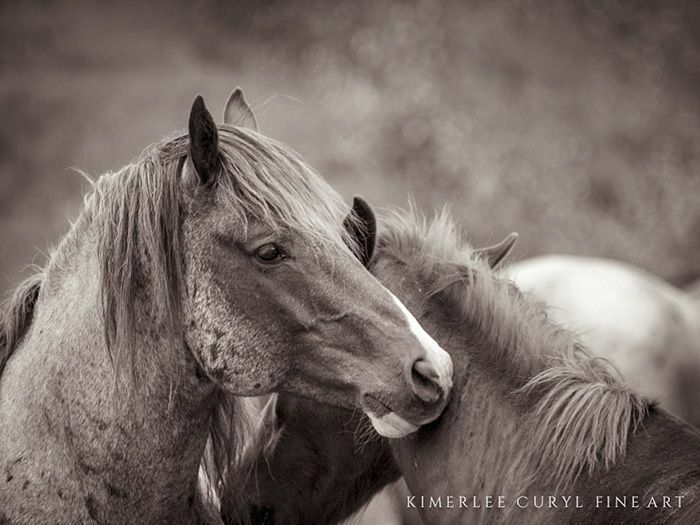 That in turn not only took me down memory lane for Mystic, but for my own personal journey with my work and my life with horses as I now know it. These images to the right were taken so long ago, yet they show me what I hope will always be at the core of my work...the essential grace, truth and beauty of wildness. 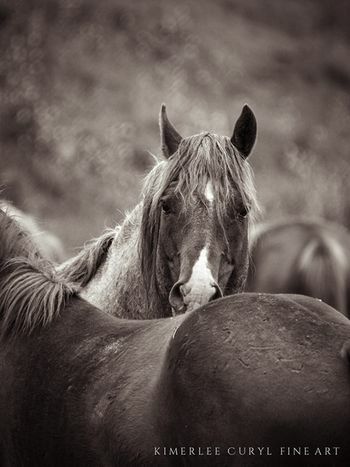 This stallion was bold and strong, yet soft and tender with his family band. Mystic ~ thank you for teaching me so much about nature, which has taught me more about myself. Your legend will live on in my heart and your children that still roam the hills everyday. 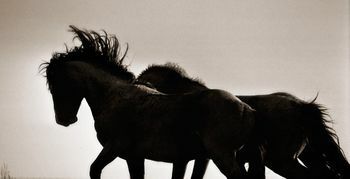 Run wild and free you remarkable stallion.